There is a movie, “Me Before You”, that is opening Friday, June 3, 2016. According to the movie’s description on their IMDb website page, is about when “A girl in a small town forms an unlikely bond with a recently-paralyzed man she’s taking care of.” They did not mention a lot in that short logline/tagline about the movie. I can say that it is set in England. And it looks like a good, romantic dramedy. For those who do not know what a “dramedy” is, it is just what you are probably thinking it is, a hybrid of a drama and comedy. I remember reading about this movie, or more likely as I will mention in a moment, I saw either a television commercial or a trailer during the previews to one of the movies I saw a while back. Usually, I know about all the movies and most television shows that feature a person with a disAbility, and especially those featuring a paraplegic, months before the general public. But I have finally put more of my attention on my film and entertainment business rather than being the advocate and watchdog that can take up a lot of time. So for this movie I found out along with the general public. I know that is very unusual and as soon as I finish my short film, and complete the development of two other projects, I will be right back at it! Regardless of when I found out about this film, of course I was very interested in finding out more about it. For years I have been advocating for films like this is to be “authentic”, using a paraplegic actor in the role of the paraplegic character and therefore I wanted to know about the authenticity of this one because I did not recognize the actor playing the English paraplegic character. I am a huge fan of British movies and television shows, but that did not help me identify this actor and so when I Googled “Me Before You”, I found that he is an English actor named, Sam Claflin. And as usual, in Hollywood’s Standard Operating Procedures, he is an able bodied actor. It is a shame because the British entertainment industry has been leading the way by hiring actors with a disAbility to portray characters in their television and movies. As I have mentioned in other blog entries they are somewhat ahead of American entertainment on the authentic portrayals, but not in this case. Maybe not such a shock or surprise because although it is filmed in England, using primarily English actors, and some post-production editing was done there, it is MGM and New Line Cinema listed as the Production companies and they are completely Hollywood. The next step that I check is the source. The writer. That could add some authenticity to the film and the character if the writer is a person with a disAbility, or their spouse or one of their children is and especailly, in this case, one who is paralyzed. This is one of the three creative positions I have advocated for movies to be more real, genuine, and authentic when portraying a paraplegic character. I have pleaded with, written specific details on how to be more authetnic, advocated, fought for these three main roles in the creative positions of a movie, the writer, director, and the actor of a paraplegic character – be a paraplegic. At least one of them. So in my search for the writer of this movie, I found out it is based on a very popular novel by the same name. The author, JoJo Moyes, is not a paraplegic and as far as I can tell has no personal connections to a paraplegic. The best I could find to her connections to the disAbled community was a professional one, as a “typer of braille statements for blind people for NatWest”. This according to her website where I also found out that she was an English journalist for 10 years and more recently “been a full time novelist since 2002, when her first book, ‘Sheltering Rain’ was published. Since then she has written a further eleven novels, all of which have been widely critically acclaimed. And now she is a famous screenwriter since she was hired to adapted her book, “Me Before You” for the film. In my Google search, I did not want to dig too much further in the story of “Me Before You” because I have to admit, I was intrigued about the story. In viewing the movie trailer, it looked like it was a happy, romantic movie. The paralyzed character is portrayed to have hope when the “girl from a small town” comes into his life. He even has romantic aspirations for her and it appears she does for him. This is Hollywood so there will be a Hollywood ending. This could be one in which the disAbled character even though it is not authentic, maybe the story would somehow be. The paraplegic character was finding love and would have a “happily ever after” ending. After all, even though all of my screenplays and short stories leave out the disAbility stereotypes they do have in one way or another the happy ending. And as a reminder, the author is a famous romantic novelist! This is good and I am interested in watching this movie when it comes out. Therefore I do not want any spoilers! Notice the hashtag – #LiveBoldly – I found these promoting the movie. And to clarify, the full quote that is listed on the promo picture on the right is, “Push yourself. Don’t settle. Just live well. Just LIVE.” — This is sounding good. And the trailer, the television commercial looks good. This has the possibility of being the kind of movie that features a paralyzed person in a good way despite not being authentically portrayed! But the past couple of days I have seen some Facebook posts from my fellow disAbility advocates and especially the disAbility film advocates. The comments were very short and without knowledge of this movie, a bit cryptic. So I had to click on the articles they posted so I could find out what they were talking about. And I was not happy with what I found. THE PARALYZED CHARACTER KILLS HIMSELF. Yes, I am giving spoilers with no alerts. And I have good reason for it. People should not go see this movie. The character is despressed because of his disAbility. And instead of any mention of getting him some mental help, he feels it is better to be dead than disAbled. He feels it is better he gives up his life for an able bodied person. I guess the life of a person with a disAbility is worthless? Or at least worth less than an able bodied person. They certainly did not show any of this in the trailer or televsion commercials! This is what I have fought against Hollywood from doing. Do not keep portraying this kind of stuff. And if they portrayed a paralyzed person LIVING BOLDLY then people who become paralyzed, injured or acquire some other disAbility, they will know they can LIVE BOLDLY TOO! Dominick Evans, the disAbility advocate and author of this article, tells us that he is one who requires much the same level of caretaking as is portrayed in this movie. And he is a very active person with a disAbility. He is one that is an advocate, a filmmaker, a family man. He is not like the person portrayed in this movie. The person/character portrayed in the movie is depressed and wanting to kill himself. Assisted sucicide. Euthenasian. Call it whatever you want but many people, especailly in these days of assisted LIVING, and accessible activities and jobs, help for PTSD that can affect those that are newly paralyzed and therefore no need to portray this kind of mindset. Hollywood and I will say the author of the book, JoJo Moyes are perpetuating the NEGATIVE so often found in books and movies by people who have no idea what it is like to LIVE with a disAbility – especially those that they are portraying. That is why it should be people like myself and Dominick who is also a filmmaker. We need authentic portrayals. Writers, directors and actors with the same or similar disAbility of that which is being portrayed in the character. This shows that there are many people now active in voicing their opinions about this kind of portrayals. Non-authentic portrayals. In story and in performance. 10, 15, and certainly 20 years ago I felt like I was the only one that felt this way about these kinds of stereotypical movies. I have mentioned many of them before. And in those like this movie where the paralyzed person wants to die instead of living – “Whose Life Is It Anyway”, “Million Dollar Baby”, “The Sea Inside”. We have seen it. They are portrayed. Let those portrayals stand. It has been done. Let us have more POSITIVE and REALISTIC portrayals of the overwhelming majority of us with disAbility – with paralysis. We know about it. We live it. We do not focus on what we canot do but on what we can do. Over the years I started to meet others with the same feelings and thoughts I had about these portrayals. At the time it was mostly actors with a disAbility. As a filmmaker, I was, I am writing the non-stereotypical screenplays. I wanted to make a difference in Hollywood and did everyting in my ABILITY to pitch it and prove it to them. But they never wanted to hear anything about change. And the small group of people with a disAbility that felt the same way – also felt like they were alone and fighting a system that would not hear our voices. Now, in 2016, the momentum is growing. It has grown and is growing! There are many voices – growing in support of real authentic storytelling and authentic portrayals of the paraplegic life. Not just actors and filmmakers witha disAbility. I wish that I knew about this Twitter #askSam, #liveboldly event ahead of time so that I could add my voice – one that if anyone has been following my blog here, or will scroll down and read some of the blog entries knows – I have advocated everything that is being said in these Tweets for years. Even though I am not on Twitter that often because I have a hard time limiting my comments to only 140 characters – I would have done so to add my voice that has been a voice for 21 years! Instead, I will do this – add a blog post and promote it on social media in hopes to reach as many as possible. You! And you can pass this on! This is from a disAbility advocate in the United Kingdom. Here is another great article in Self magazine online and again I plead with you to read it. If you “like” this page and/or you “like” me – then YOU need to read this to understand me and what I am doing with my work in Abilities United Productions. I am sure there are a thousand other things I could say in this blog entry, and many I will wish I had added before posting it, but know this, I am NOT going to see this movie. I ask you to also not give your money to support this kind of portrayal of those with a disAbility. And please pass this on in your social media. Even if it is not this blog entry – then one or both of the articles I posted above. Real easy to do when you are on their page. If you do not see the Social Media links – click on the address bar and copy the website’s address. Then paste it on your Facebook or Twitter page with comments such as that this is an offensive movie to people who are paralyzed. That you know a person who is paralyzed and he is offended by this portrayal and is asking you to not support it. This is an insult to people with a disAbility. We want to live. Life, even with a disAbility is worth living! Our lives are just as valuable as the able bodied life. And we want that to be portrayed – not this insult. We really need to get this out over the next 7 days – before it opens on Friday, June 3rd. I was nearly fooled into it. You have been educated and if nothing else – you know what is going to happen and therefore it’s not worth your money! Do not let your friends be fooled. If you’re a real friend you will do this for them! If you are my friend, I ask you to do this. We need YOUR voice to be added to ours. The power of social media and the power of the pocketbook will tell them not to make this kind of portrals anymore. Thanks. I would say “Happy New Year” for this first blog post of 2016 but it is already the beginning of the second week of February! I have been thinking of writing this blog entry since the beginning of January. I have in the past blogged at the first of the year with great optimism. In those years past, there has been reason to be positive and giving me reason to be excited about a new year. Usually it was because I had a promising deal in the works that would help in funding a film project, help in other ways of progressing a film project or for my business, Abilities United Productions, or that the entertainment industry is making some promising effort to be more inclusive to those with a disAbility in the creative positions within the film and/or television programs. Unfortunately, every time, in the deals for my films or the industry, those promises were broken. It has been so many “new years” that I have been through and been so optimistic and then so let down, that I have not posted such optimism the past couple of years. This year, I am happy. And it is not related to any promises from others. I have been working on some new projects. Not just film projects, such as my short film, a short auto-biography focusing on my experiences the film industry, “American Dream: Deal With It”, but two new projects that will help all of us with a disAbility in the entertainment industry. I believe that these new projects will also be helping future generations with a disAbility to realistically dream of working as creative entrepreneurs or as entertainment creative employees in Hollywood. I am really excited about these projects. I cannot say exactly what they are because for now they are in the development stages. But as soon as I have them secured as businesses I will announce them here, on the website and social media outlets. And speaking of the website and social media outlets, what I can tell you is that in addition to these new fantastic projects – I am going to focus on updates, which could include completely new looks to this blog site, the Abilities United website, the You Tube channel, Twitter, Linked In, starting a Stage32 page (they are billed as a Linked In site for film professionals), and other places that will keep Abilities United accessible to everyone. As will the social media presence of the new projects! I will need the help of all of you and your friends, not to mention many more to extend the reach of these updates to the current Abilities United presence but to the new projects – one of which is critical to get as many as possible actively engaging in it to make it successful for all currently working in the entertainment industry and those who will be dreaming of it. We will make our own path into the entertainment industry. So 2016 is an exciting new year. It will be known as the start of the new inclusion of people with a disAbility in the entertainment industry! I wanted to post this on Monday since the Oscars were broadcasted the night before but I had gotten busy. There were some controversies from some of the acceptance speeches but I do not wish to talk about them. 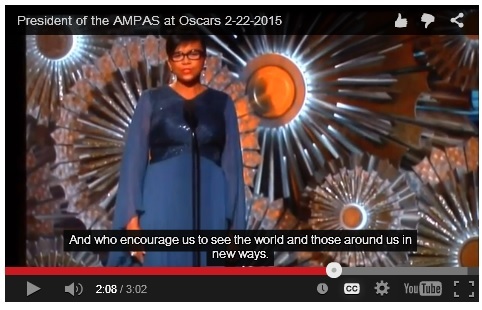 The most interesting one is that of the Academy’s President, Cheryl Boone Isaacs. I was already laying down when she came on stage and began talking. I was very interested in what she was saying so I grabbed my camera and rewinded the dvr so I could record it and share it. SO the hand-held camera was a little shaky at first and I also had to increase the volume as I was filming. Please excuse that but I have uploaded it to YouTube and added Captions. These Captions I did my best on. If there were any spelling or grammar errors I apologize as both of those annoy me a lot. 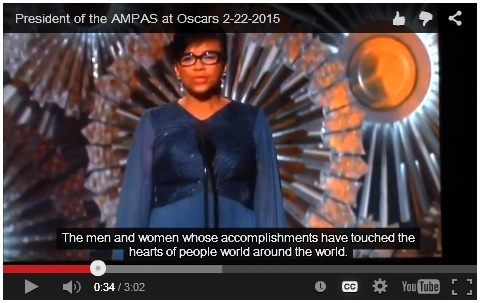 You can watch it here or skip down for my thoughts on her statements. UPDATE: YouTube has blocked the video due to Copyrighted material – But the Oscars’ uploaded video of the show is terrible. 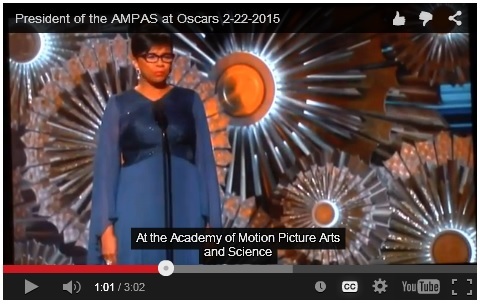 I wanted to place it here – starting at the point of the AMPAS’ President – but the audio is off from the video. Others commented that it didn’t work at all. So, since I went to the trouble of Closed Captioning it – I made still photos of the proper section and uploaded them into the appropriated sections below. I agree. Somewhat. The world we live in was somewhat portrayed in a way that included a person with a disAbility in a movie. There are 54-56 million Americans with a disAbility. Nearly 6 million that are paraplegics and using a wheelchair. The movie, “The Theory of Everything” is about one wheeler from England and was made because it was about the famous theoretical physicist, and theoretical cosmologist (which I think is redundant since 99% of all we know about the cosmos is theory), Stephen Hawkins who has been living with ALS, a disease that quickly took over his mobility and eventually had him become a wheelchair user for the majority of his life. From what I understand, because I have yet to see the movie, is that “The Theory of Everything” does portray the earlier part of his life as he was a University student and when the ALS disease was initially began to attack his body. So while I am a very big advocate for people with a disAbility who are portrayed in movies be portrayed and represented by actors with the same or similar disAbility, this would be one that I would not criticize because it would require an able bodied actor to handle the able bodied scenes which from what I understand is a good portion of the movie. Or at least able bodied and the time that the disease was deteriorating his body and his mobility. That took some time and what the movie was about. Well, along with his relationship with his first wife and how it effected her. This movie garnered a lot a praise and even won the Best Actor award for Eddie Redmayne for his portrayal of Stephen Hawkins later in the night. But with this many Americans with a disAbility and the United Nations estimation of 650 million people with a disAbility globally, where are the stories, the movies that include them, and not just the famous people with a disAbility, that surely are a part of the world we live in? And ones that are not only featuring or co-starring people with a disAbility AND are portrayed and represented by the actors and maybe also those like yours truly, the filmmakers with a disAbility to give the voice, view and representation of this huge underserved of the largest and fastest growing minority in America? This is the world we live in – and it not a world of famous paraplegics or others with a disAbility. Okay. Now let’s move on in her speech. She mentions about the power of film. Again, I have often spoken of the power of the movies – especially the universal power – the global power of Hollywood movies and with this great global power brings great responsibility. This is one of the reasons I have said they have the power and responsibility is to authentically portray and represent paraplegics in movies and television. Allow us to portray and represent ourselves! WOW! I have been saying that for nearly two decades! 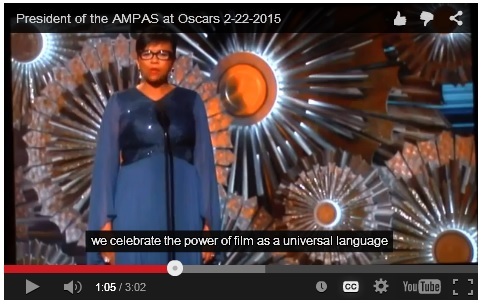 And this is when I grabbed my camera, rewinded the dvr, and began to record her speech. As I mentioned above, I have argued that Hollywood has great power which brings great responsibility. And that people with a disAbility need to be included more movies and television and that those portrayals need to include people with a disAbility in the creative roles as writers, directors, and definitely actors in those portrayals. Cheryl Boone Isaacs went further by listing the responsibilities of the filmmaking community. “A responsibility to ensure that no ones voice is silenced by threat.” I would end it with “silenced” period! Actually I could say that in my nearly 20 years at this as a paraplegic filmmaker I have seen a “silent threat” that if I or we as a community push this whole “we want to be authentically portrayed and represented” then we will produce even less than the already miniscule amount of movies and television portrayals that include people with a disAbility. We have been silenced by Hollywood because they believe people do not want to see those with a disAbility – so they will not give audiences a chance – and certainly not a chance with an actor with a disAbility. 2. “A responsibility to ensure that different opinions can be shared without fear of personal or professional attack.” WOW! Again! The audience then gives a huge applause. 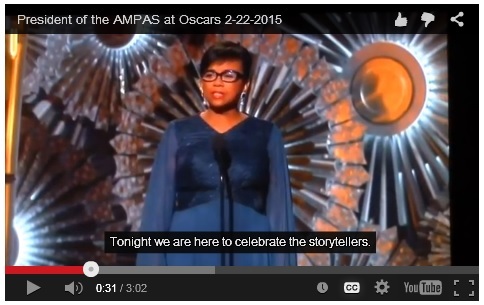 The only time she had to pause her speech. When the applause began to get louder, the director cut to a camera on Harvey Weinstein who was clapping. He has been a champion of “different opinions” but I wonder how he would feel about the opinions of a paraplegic filmmaker? And would I be able to share them with him and without fear of personal or professional attack? In Hollywood, an attack is the same thing as a blacklist. And Hollywood does have a blacklist. I wrote about a few years ago. Again, in my nearly 20 years as a paraplegic filmmaker, I know for a fact that they do not want to have some “different opinions.” They feel that the issue of paraplegic portrayals is one that has been settle many years ago. And that is that paraplegics are not necessary beyond being “consultants” for the screenwriters, directors, and especially for the actors who will be portraying the paraplegic character. They do not want the paraplegic communities opinions and more specific, the paraplegic writers, directors, or actors opinions. I am not alone with this knowledge and personal experience. Will this change in the future? It is up to them. We continue to try. 3. 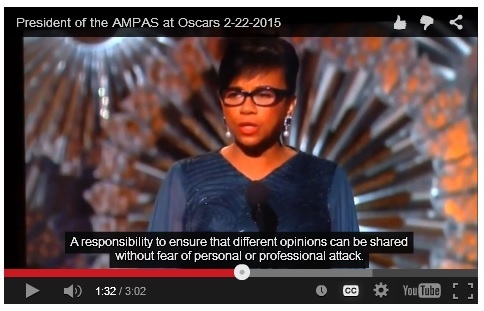 “A responsibility to protect the freedom of expression.” That is wonderful. 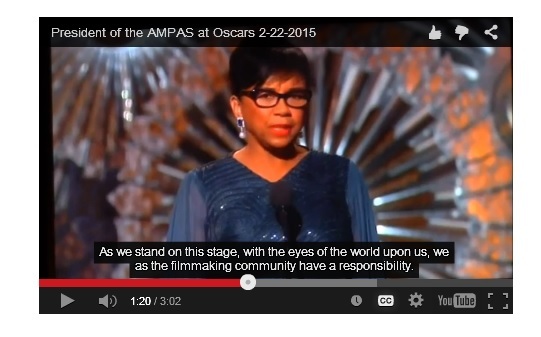 Three very significant responsibilities that the filmmaking community have as the eyes of the world are upon them. Do the eyes of the world see any authentic portrayals of the largest minority in America, the people with a disAbility? Does Hollywood protect the freedom of expression? Sure. But that doesn’t mean they accept the expression! I have had a hard time just getting an opportunity to pitch my film projects. Nor get any representation. 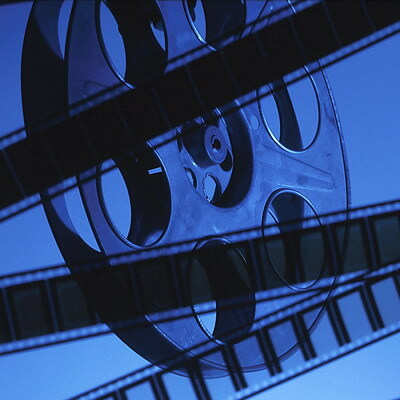 Unlike an actor who have agents, a filmmaker usually has to find legal representation. Entertainment attorneys have access to all sort of studio executives, distributors, A-list and B-list actors. I have tried to get them to represent me and or my production company. But none will even look at my business plans – for the company or the film projects. So I remain on my own. And I know that some actors with a disAbility have the same difficulties in getting an agent to represent them. So they also go it alone. Paraplegics and others with a disAbility are almost always an albatross in the Hollywood. The chances that they get heard or get a job, in which is how their agents or attorneys will then get paid – a percentage of the job – is not worth it to them. They have to spend a lot of time finding a job for the paraplegic or others with a disAbility and they keep getting “no” from all the production companies and studios and networks. No one is going to work for nothing. The work for the best chances. And we are barely a chance and so it is not worth it to them. And I cannot blame them. They have families to feed too! But we do deserve the same and equal opportunities. And Hollywood has the power and responsibility to provide it. 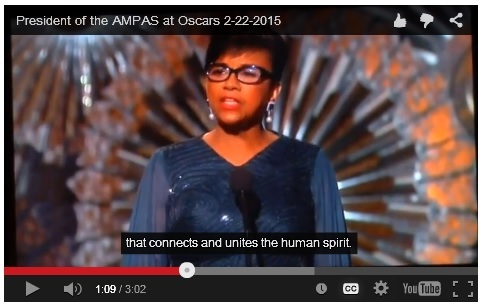 Now that Cheryl Boone Isaacs has spoken of the responsibilities of the filmmaking community she continues with some very positive words. She goes on about how many people are watching the Oscars and their connection to movies. And then finishes up with thanking the audience and those who are in attendance. But the words that I put in bold above I like and are encouraging for filmmakers and actors alike. Unless you are paraplegic or someone else with a disAbility. I just could not have said it better myself. It is what I have been saying for years – and can be found in my business model which is described in my business plans. My storytelling on film do “give voice to … alternative points of view. And [do] encourage [you] to see the world and those around [you] in new ways.” But no one will know this if Hollywood will not give me and others an opportunity to prove ourselves as disAbled but very capable to portray and represent ourselves in movies and television. These were all great words from the voice of the entertainment industry. But the Academy does not run Hollywood. It is the studios, networks and distribution companies. And to many of them, these were just words. Nice words but only when they fit their business model. And although my business model and plans are very similar – in fact, they pretty much mirror those of the most successful independent films – with the slight difference that I as a paraplegic insist that I remain the filmmaker, the writer (the voice) and director (the vision), and that I hire a paraplegic actor (the face) to portray my single paraplegic featured character in my film project – to have the authentic portrayal and representation of paraplegics in my movies. Equal portrayal and representation that they give other minorities. 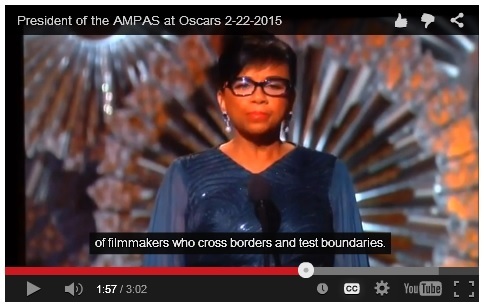 You would not think that would be such a barrier, but it is in Hollywood. I and many other paraplegics and others with a disAbility will go on and not give up. Even if we don’t make it – although that is what we work for and hope for so much, as much as our able bodied counterparts, but if we don’t make it, hopefully we will cut a path that gets closer for the next generation of filmmakers and actors with a disAbility. Last night I watched the Film Independent Spirit Awards. And the best part was for the Best Director award. The Hollywood Venus, proven even with her new unique hair style she is incredibly beautiful, Scarlett Johansson, presented the award. I filmed all of it, but edited it down to her announcing the winner, Richard Linklater for his unique and groundbreaking film, “Boyhood”. I have not yet seen it but it was filmed over a 12 year period following the life of a young boy growing up over those 12 years. I hope this shows up? In case it doesn’t show up and you do not want to click on it, here are the words that I thank Ethan Hawke for! Obviously I have not been blogging much these days. Things have slowed down for multiple reasons. Some personal and some professionally. I often feel like I have said all there is to be said on the subject of authentic portrayals and representation of paraplegics, and to a lesser degree all those with a disAbility, in previous posts. That was the main reason I transferred all of my blog posts from the now defunct GoDaddy blog servers and over here to WordPress. But this is a new year. And despite last years’ slowing down I have been working on a short film. I have been encouraged and most often rejected making documentary films, and especially any that would feature yours truly. I am a behind the camera guy. And I like storytelling. Fictional stories are much more fun to create and write. That is what I have been doing for 25+ years. But since my becoming a paraplegic, which this April will be 20 years, it has an incredible journey that has not produced as I was sure it would by this time in my career and life. Which for many of those years, they were one and the same! And like with many of you in my life and career there have been many ups and downs. And thanks in large part to the entertainment industry, much of my career has been dismissed, ignored, or completely unnoticed because I have insisted that as a paraplegic filmmaker, in which I create a paraplegic character in the starring role, that I only hire a paraplegic actor for that paraplegic role. To answer the industry objection that there are no name recognized paraplegic actors to carry a film to box office success, I have written strong co-starring characters that are able bodied and more of a dual starring roles in order to attract a name recognized able bodied actor. I also create stories that are universal rather than ones that would only attract the disAbility community. This creates the “golden egg” of most businesses, including the independent film business of reach a niche market with universal appeal. My film projects provides the authentic paraplegic/persons with a disAbility portrayal and representation, along with commercial appeal for mainstream audiences. There have been countless objections and obstacles to producing such entertaining films. I have met them all with answers and proof that such films would be worthy of success. But never getting an opportunity to prove it. It is all on paper. It has been proven in the business plans and presentations that I have written but I have failed to find those that will give me more than a polite, “good luck. It is a very interesting and noble idea”. This without even looking at the written proof, the screenplays, the business plans complete with the details of the authentic niche with mainstream appeal – marketing and advertising campaigns – and financial projections. This is just an outline of all the trials and challenges that accompanied this 25+ year journey. Along with the personal roller coaster that I have been on it is almost unbelievable. And when people get to know me, or those that have been with me through it all, find it is incredible and wonder how I have gone on and on and on. For me it has never been a question. It is my passion and truly believing that I can and will make it happen. This genuine passion for both storytelling on film and the dedication to bringing this extremely underserved minority, an authentic and non-stereotypical representation to the entertainment industry, is what most people tell me they feel when they talk to me about my career and life! I cannot argue with them on that. I am very passionate and dedicated to my film work and the advocacy work that I have had to do because of the exclusion of people with a disAbility in the entertainment industry. So with the prompting, encouragement and convincing that telling this story of my life in, or trying to be in, the entertainment industry will be an inspiration to others – not only to those trying to do what I have dedicated some much of my blood, sweat and tears but to those with a disAbility in general. And those who are requesting me to do this feel that it is something they and many others would like to see as well. So I am working on it right now. Although I am currently struggling with how to present the film. I am currently writing it as a first person narration. But after hearing myself narrating in a small video clip I helped put together for my sister, I heard a lot of my speech difficulties that are still present since my strokes in 2011 and 2012. So while I am already not comfortable in me being the focus, in front of the camera, and doing a documentary short film, I am self-conscious about this speech impediment and therefore considering writing it in the third person to get someone else to narrate it. But how does that look? I am the writer, director, editor, producer of a film about myself but not narrating it? In addition, I am working on ways to make this autobiographic, documentary film that are usually done in a methodical, educational cookie cutter way – entertaining! I can only hope that this will be a success. Since the entertainment industry has not been interested in my fictional work this might be the only tangible proof that I can show after over two decades of passionately working at making my dreams a reality. This is a new year. Time for new thinking and a new film!